These thrift store frames didn’t look too bad when I found them. There were a few scratches and the backing was coming off. 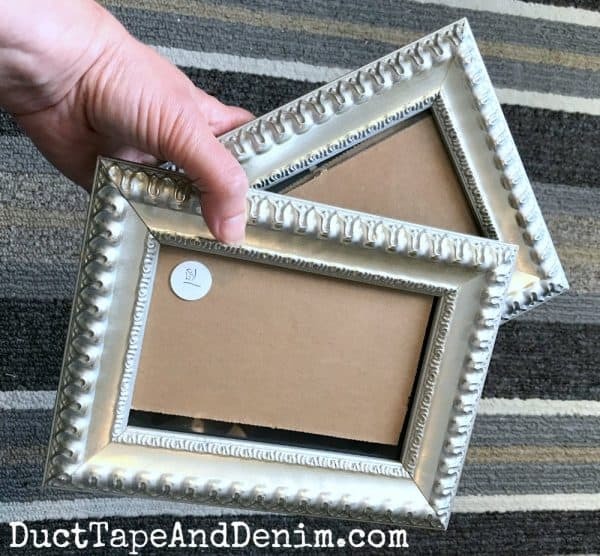 I knew with that detail around the edges they’d look great as painted frames aged with the new antiquing dust I’ve been working with. Plus, they were a bargain! Marked $1.50 but it was 20% off day! 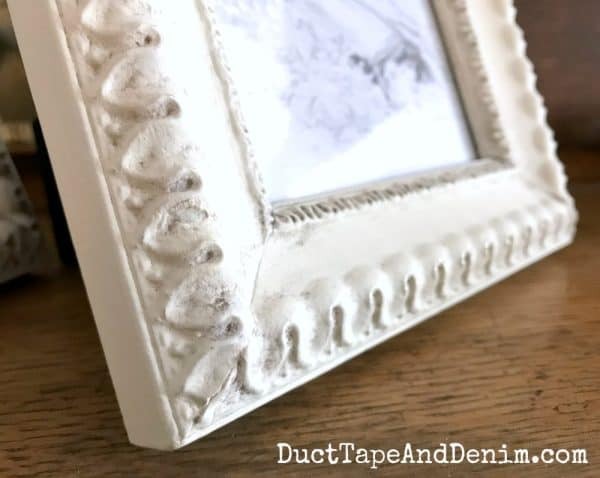 Use my coupon code ducttapedenim10 to get 10% off your first order of Country Chic Paint products. First, I glued the backs around the outer edge with some of the E6000 glue. This is my favorite glue for jewelry but it works for just about everything. I didn’t wait for it to dry. I just started painting, making sure I got the paint worked down into the details of the frame. 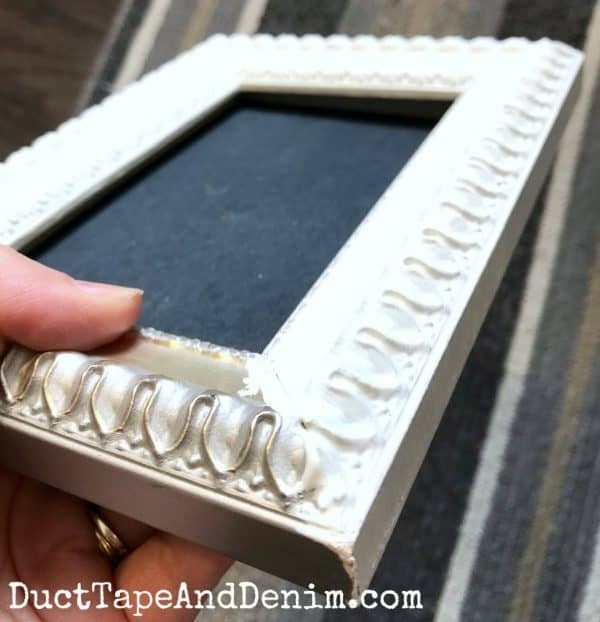 After the two coats of paint dried, I waxed the frames with Country Chic Natural Wax and pounced on the Country Chic Antiquing Dust. You can see a video of this technique HERE. I let it sit for 30 minutes, then I wiped off the extra dust and buffed. 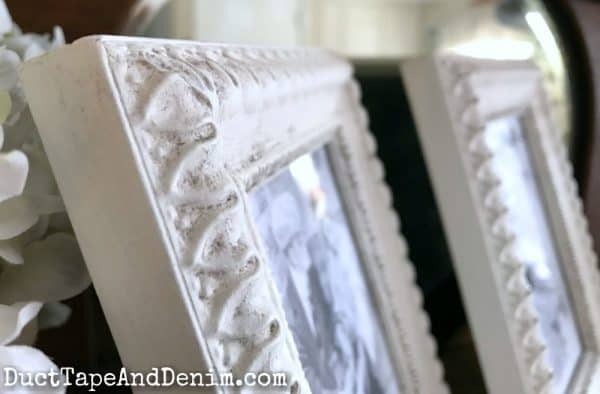 I am in love with the aged look of these frames! Our June theme in the shop was weddings so I printed copies of these amazing old wedding postcards that I found at an antique shop and added them. 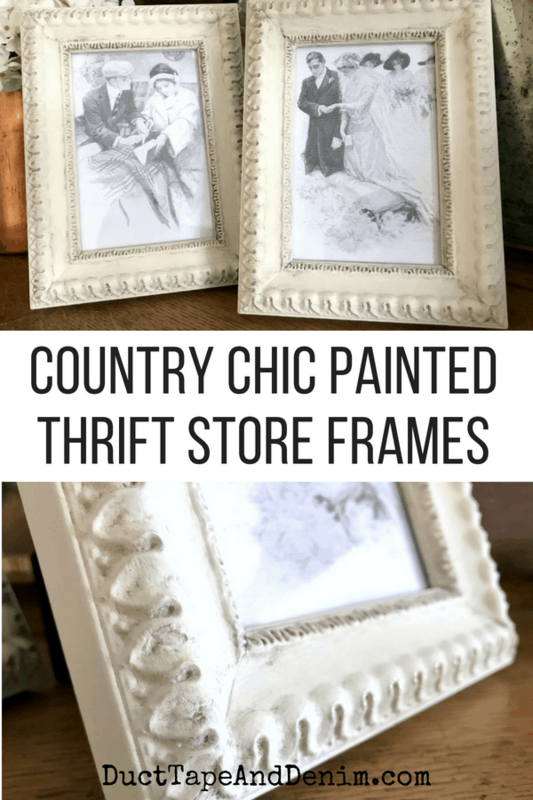 Leave a comment and let me know if you’ve painted frames lately! 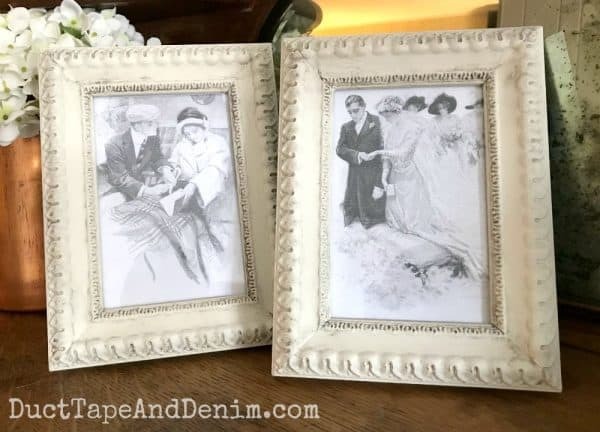 I love how the frames look, especially with the vintage photos. I’ve got to try this product. I do quite a bit of antiquing, but have never heard of this. Love the look! Thanks for sharing with SYC.